GIVEAWAY CLOSED: Congrats to Lara Baldwin for winning a new bra of her choice! And thanks to all who entered! IT’S THE FIRST DAY OF SCHOOOOOOOLLLL!!!! Can you tell I’m excited? I’ve dropped off the face of the Earth this past month. For the last few weeks, the boys have been off school for summer break and our employees have been out of town, and it has been day to day survival. We were up early, and all basically pacing around by the door at 8am this morning – with 30 minutes to spare before we actually needed to leave. After stalling a bit, we got to school ten minutes early and saw several other moms and kiddos waiting outside to go in. Everyone was ready! The kids didn’t even say goodbye – see ya later mom. And so today I feel light as a feather. I love my kids something fierce, but I also love the ability to get things done and a bit of breathing room. And it feels good to know they are playing with friends and doing the types of messy, creative art projects that I don’t have the skills to offer at home. In a few hours, I’ll feel refreshed and accomplished, and ready to be my best mama-self for them the rest of the afternoon. I have been sneaking in workouts at 6am and 8pm for the past few weeks, whenever I could make it happen. I am feeling really committed and motivated to get back into my best shape, and now I just need to figure out how to get in all the workouts that I want to do. The hardest thing to schedule has been running, as we are losing light here on a daily basis. It’s too dark to run in the morning, and our sunsets these days are earlier and earlier each day. Now that the boys are back in school, I’m looking forward to Greenlake loops after I drop them off a few times each week! 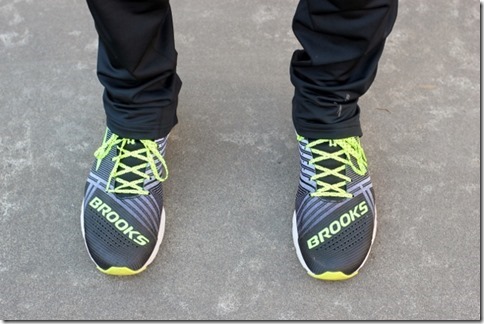 Speaking of running – I have some fun new Brooks stuff to show you guys! I was lucky enough to be invited to their fall preview night a few months back, to check out all the new apparel for this upcoming season. 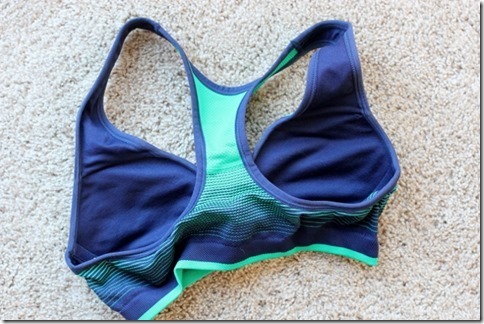 One of the most exciting items in the collection – new sports bras! This month their theme is all about SUPPORT. Support on the run, supporting on the sidelines, and support to get out there in the first place. I do all of my workouts exclusively in Brooks Moving Comfort bras, and I have a number of different styles that I use depending on what I’m doing – running, yoga, barre, or pilates. My go-to favorite is the Just Right Racer, and I’ve been wearing mine for years! But with a few new bras in the collection, I was excited to test a few out. First up, the FrontRunner Racer, which is a serious contender for my new favorite. It has built in cups and pads, which means no more folded lumpy inserts to deal with when you are folding the wash. And it has a really low, flattering neckline that works well with any style of top. This is a great bra for someone like me who is painfully flat-chested, as the built in cups help provide a bit of a boost. I love that there are no straps to adjust or clasp – just pull it on and go! It also matches the Streaker capris and pants, if you love to have matching sets! 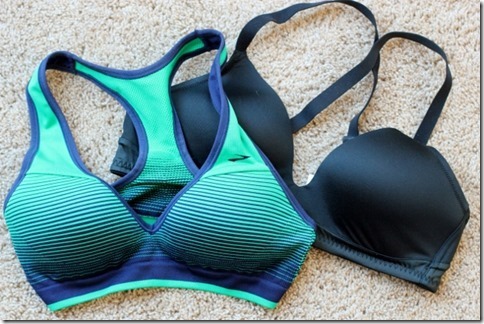 The other bra that I tried out is the Anyday Sports Bra, which is super different but equally awesome. The idea with this bra is that you can wear it for anything. It has the smooth, silky look of a traditional bra – with the fit and support of a sports bra. My favorite feature on this bra is that you can unclip the straps and convert them to be either criss-cross or straight up and down, which really does mean that you can wear it with anything, for anything. There is one more new bra in the collection that I really wanted to share, even though I didn’t try it myself. The new Embody bra is meant for fuller-cupped women, and while that will sadly never be me, I know that shopping for sports bras can be really difficult for women who wear bigger sizes! This new bra is available in sizes from DD up to G! And while I don’t need much support in the bra department (sob), I need plenty of support in life. With this theme in mind, Brooks asked us to each think of someone in our life who supports us and lifts us up – so we could gift them with the outfit of their choice. And for me, there was no question. Casey is and has always been my biggest supporter. He has encouraged me to challenge myself and be confident. And whether it’s dinner out with my friends or an early morning run, he always supports me and juggles his schedule to make sure we can fit it all in. So I was really excited to pick out a few items for him as a thank you for all that he does! 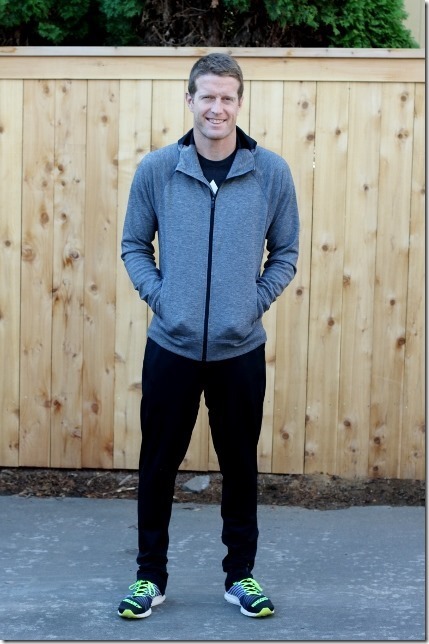 He tried out the Joyride Hoodie and the Spartan Pants – two items from the “athleisure” collection. 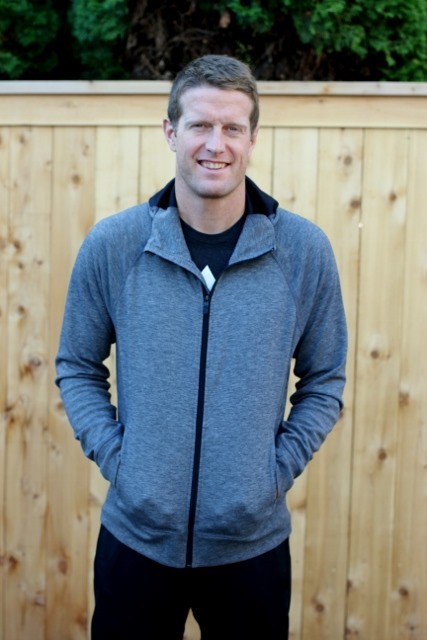 They are both perfect for Seattle – cozy, comfortable, and with plenty of coverage for cooler temps. He tends to live in hoodies, so I knew this one would be a big hit. 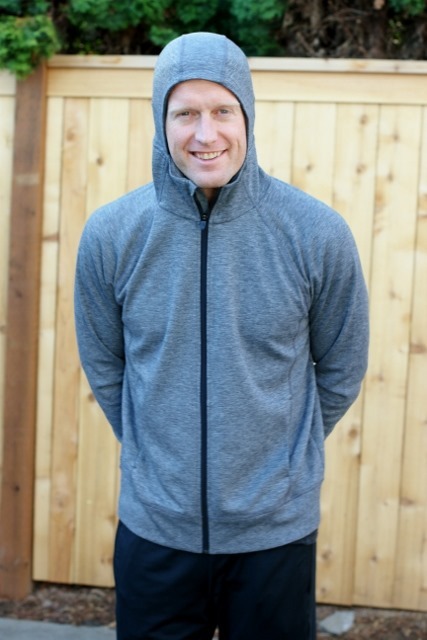 He got embarrassed when I told him to put the hood up (because I told him he looked like a bowling pin), but seriously – HOW perfect is this hood for Seattle? It actually covers the whole head and doesn’t let rain drip down your face. You can tell that the Brooks designers work just down the road! And last but not least, some new shoes! 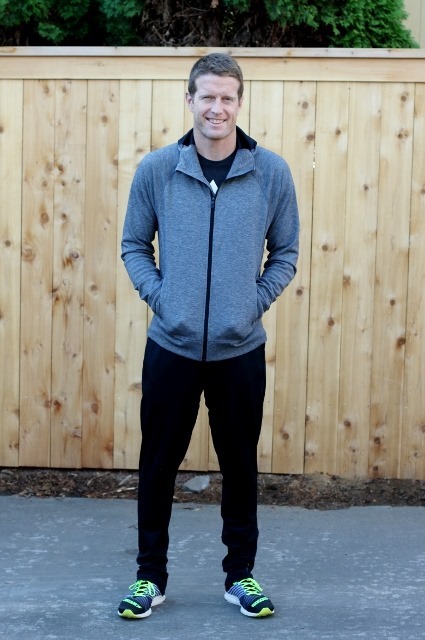 Casey is all about speed workouts, so these new Hyperion shoes were perfect. I also think they look super cool and flashy! He’s not training for any races, but still goes running a few times each week in between other workout classes (he does Brazilian jiu jitsu!). He has tried a lot of shoes over his many years running, including other Brooks styles. And so far, these are his favorite. I’m tempted to try the women’s version the next time I need a new shoe! So there you go – some fun new Brooks fall apparel and goodies. I’ll be putting mine to good use tonight at pilates, and later this week at barre class and on a few scheduled runs. I’m considering signing up for a local 10k coming up in a few weeks, so I better get to it. But before I go, I have a GIVEAWAY to offer you guys!! 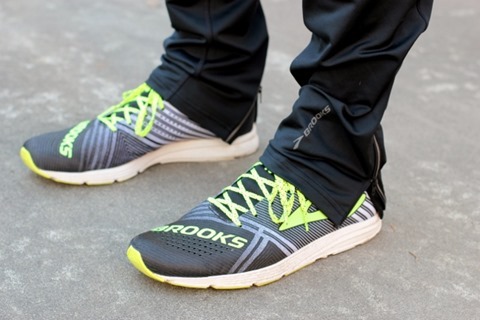 The amazing people at Brooks wanted to support you guys too – winner receives the Brooks sports bra of their choice! Just leave a comment below telling me your favorite way to work out these days. Winner will be chosen Thursday, Sept 15th – good luck! And with that, I’m off to pick up the boys and see how the first day back to school went. I hope your week is off to a good start – happy Monday! Next Post » Back to School With Bombas. Right now it’s a few push-ups and tricep dips with my kids, and then piling the three of them into a double BOB and going for a long walk. I’ve been loving hot yoga! I’ve been going to a Cardio Jam class at the YMCA. It’s sort of like Zumba but with current pop songs. I meet friends there and we giggle at each other’s moves while catching our breath between songs. The instructor is intense, so I get a great workout. I love yoga and Zumba, but I do tons of walking as a postal carrier! Just started doing Yoga, so fsr loving it! Just hitting the third trimester and hitting the gym each morning for some weight lifting and walking. Feeling slow but strong. I love going to the gym for classes, but I’ve been traveling alot lately, so I’ve been missing it. This morning I went to body combat bright and early at 5:15 and had a blast. It was good to be back. I’m pregnant, so mostly walking these days for exercise, but it’s great to get out and move! Taking walks with my baby (soon to be toddler)! 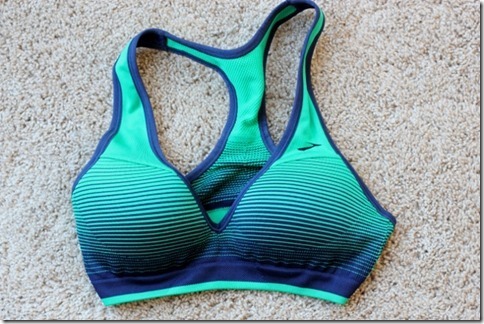 OMG that anyday sports bra is like the answer to my prayers. I’m a rower, but lately I’ve been loving my cross training runs a lot—there is so much less set up and break down time, and that’s really nice when the days get busier. I run five days a week and training for a fall marathon and an ultra marathon in Nov.
My best motivation to get moving is taking my dog for a walk. I am loving long walks or hikes in the mornings and Red Hot Dance Fitness classes in the evenings a few times a week! The antenna height and width of those Telstra Blue Tick Phones is proportional to the gains. Digital antennas are good for local stations as more quantity of people will be capable of view local channels through their programs. follow some with the steps for selecting the HDTV antenna. the most beneficial GPS jammer to secure your life. Something feels wrong on this picture, just what are we missing. up and focus rather easily, which poses a distinct security risk. some can certainly still generate interference.